When you and your competitors are all vying for the same customers, you probably feel like you need to give it 110%. That’s why so many past popular selling techniques focused on high pressure or “hard” selling. Hard selling may help you get a sale in the moment, but it often leaves customers feeling like they’ve been cheated, as though they’ve been convinced to buy something they don’t really want. It is a pretty certain way to make sure they won’t buy from you again. That’s why savvy markets tend to focus on low-pressure selling techniques. They focus more on supporting the customer, introducing them to your brand and values, and more subtly selling their product or service. In this article, we will give you our top seven low-pressure selling techniques. Read on to find out how you can build a real relationship with your customer base instead of just coming across as pushy. Building an online social media presence is the basis for low-pressure selling techniques. It allows you to build an identity and personality for your brand, and build more personal relationships with potential customers. Create a social media marketing plan to guide your posts on each platform. By ensuring you keep posting new content, you will keep your brand at the front of customers minds, without seeming pushy. Make sure you’ve set up a great website, and link back to it in each of your social profiles. Keep in mind that for each social platform you join, you will need to dedicate marketing and sales resources to maintaining it. That is why it is better to choose a few platforms you can use well and really work on maintaining them. For Young Living oils, consider Facebook, Pinterest, Instagram, and Twitter. These are platforms used most often by your target demographic. Platforms like LinkedIn, for example, probably won’t be worth the effort it takes to maintain them. You won’t be able to gain many followers if you are posting advertisements all the time. Followers will only stick around (and become customers) if most of your posts are interesting. Sharing inspirational pictures, articles about essential oils, even healthy lifestyle tips can all be engaging for followers. It will make them pay attention to your posts, meaning they won’t turn away from the occasional ad. And when you do post ads, make sure to link back to your website. This is where most of your sales will happen. Another plus to posting non-ad content? It will help you build a brand identity, letting customers get to know the real you. This, in turn, makes people more likely to want to buy from you, rather than your competitors, because they will feel loyalty to your brand. Another one of the key non-pushy selling techniques is to create a brand personality. You want to show to your customers that you know what you are talking about, and you have similar values to them. If you can demonstrate this, they will believe you when you say that your product is good, without having to push them. In addition to the social media techniques we discussed above, you can look for other creative ways to show your personality like video blogging. Would you trust a product recommendation more from a friend or a stranger? By creating a brand personality and building trust with your customer base, you’ll become more like a friend whose expertise they trust. The best thing about social media selling techniques is that you can really take advantage of the “social” aspect. Make sure to respond whenever followers comment on your posts. Always be friendly and approachable, even if they post criticism. Plus, make good use of direct messaging. You can answer customer questions, and talk about your products in a non-aggressive way. Always make sure to respond in a genuine way; don’t just paste in a standard sales pitch. Direct messaging makes you accessible to customers who are already at least a little interested. 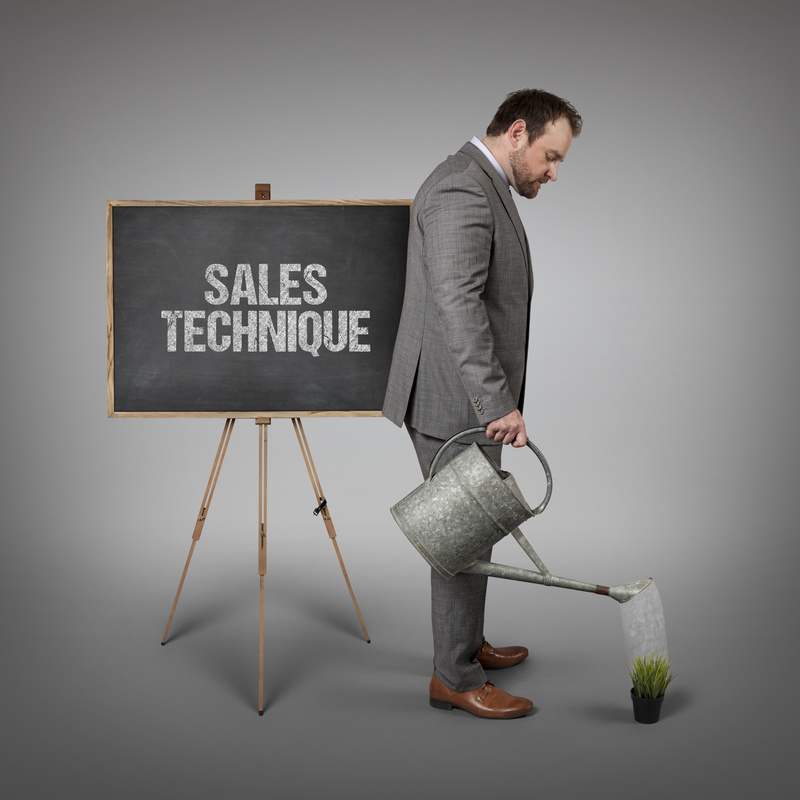 Then, you can make use of your best personal selling techniques to turn that interest into a sale. You might feel like you should let your client know all the problems with your competitors to really prove why they should choose you. However, this is one of the surest ways to ensure they will go to that same competitor, leaving you wondering what you did wrong. When you talk badly about someone else, whether it is gossiping or in a sales call, the listener is likely to think worse of you. They will associate those negative qualities with you instead of your competitor. This is due to a psychological phenomenon called spontaneous trait transference. You know that your product can make people’s lives better. Now you just need to explain it to them. Show that you understand the problems that your customers are facing, and how you can help. Be empathetic, and use active listening to show that you really understand. Then, show how you can help. Of course, always be truthful and treat your customers with respect. No one will trust a salesperson caught stretching the truth just to make a sale. Instead, you need to have a genuine belief in your product and show that to your customers. Your confidence will inspire them, and make them more likely to realize the benefits. It’s no secret that people respond better to positivity! Your interactions with potential customers should always be positive and polite. Positivity is one of the most widely used selling techniques because it works so well. In conversation with customers, wish them a good day. Thank them for their question, purchase, or opinion. Let them know how awesome they are by commenting on how pleasant it is to talk with them, or how insightful their question was. This makes them feel great about you and your brand. This will make them want to keep coming back, building customer loyalty. Plus, this positivity can give you a boost too! Low-pressure selling techniques are all about building relationships with your customers. Once they come to identify with you and your brand identity, they will be more receptive to sales pitches. So, focus your energy on building and strengthening those relationships. Get on social media, post valuable content, create a brand personality, and engage one-on-one with your followers. Turn the emphasis away from your competitors and instead focus on how you can help. Do all this with a positive attitude, and you will be well on your way to selling success. Get selling today! And if you need more information on any of these techniques, feel free to get in touch.